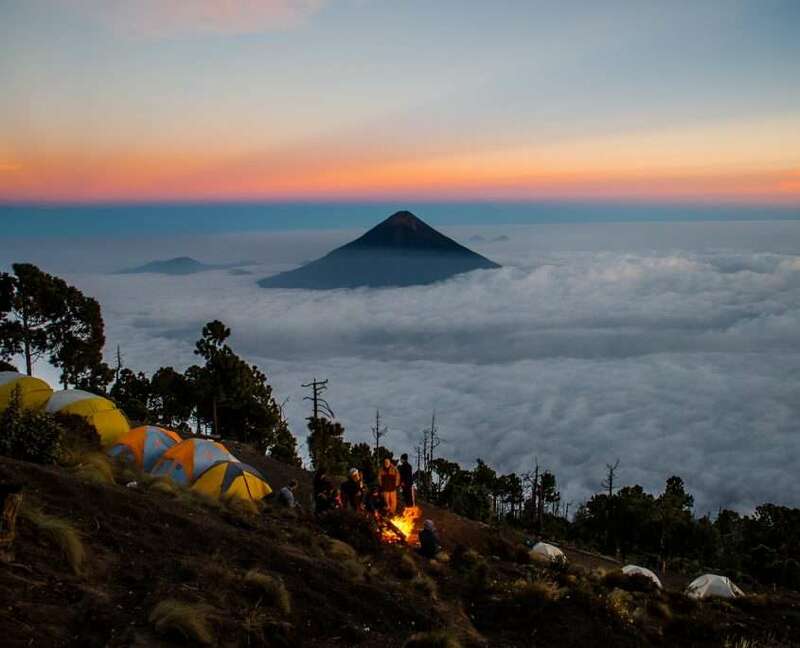 Climbing Antigua’s remarkable Volcan Acatenango, which towers above the landscape at 13,041 ft / 3,976 m, is at the top of the bucket list for most adventure travelers in Guatemala. 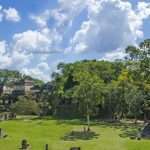 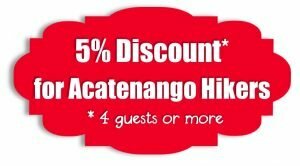 Aside from providing panoramic views of the entire region, Acatenango gives hikers a birds-eye-view of nearby (and very active!) 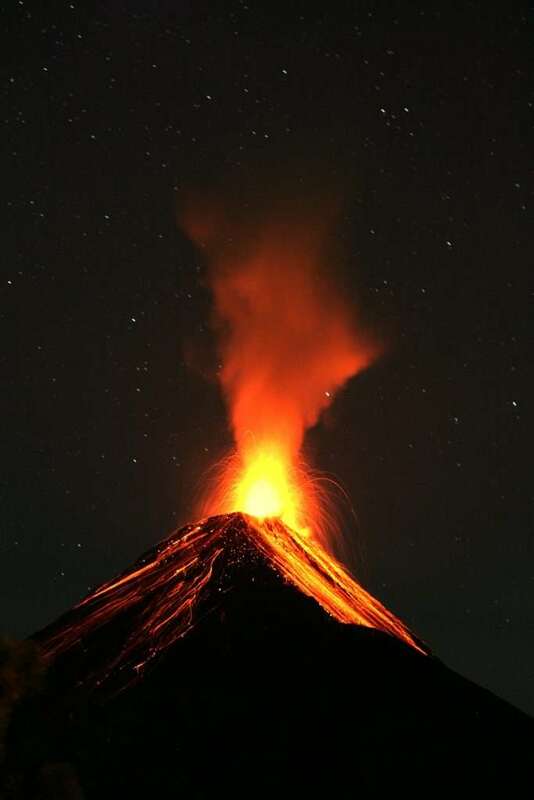 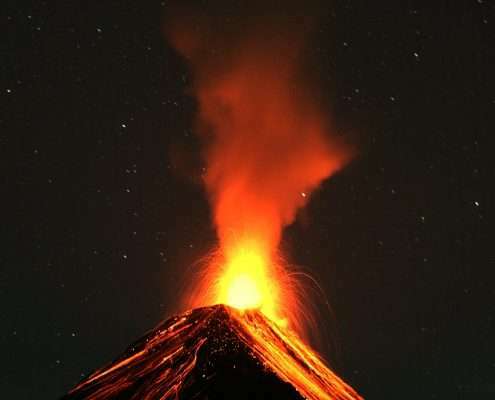 Volcan Fuego which has been erupting on a near constant basis since colonial times. 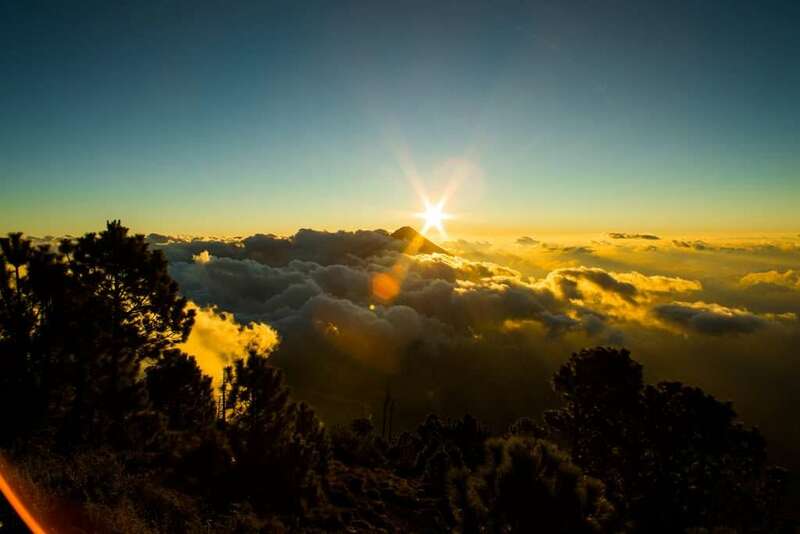 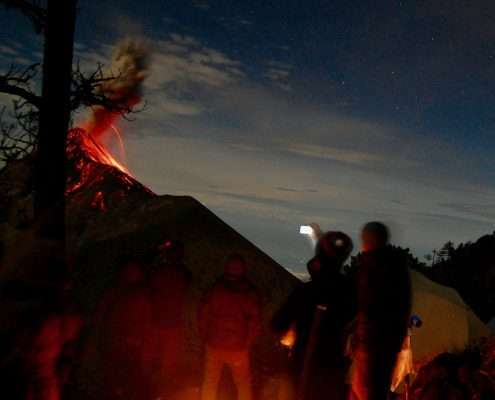 Our Acatenango Volcano Overnight Hike is the best way to experience the volcano as it allows hikers to take in awe-inspiring nighttime views of flowing lava, as well as experience sunrise the following morning from Acatenango’s summit. 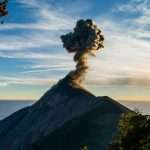 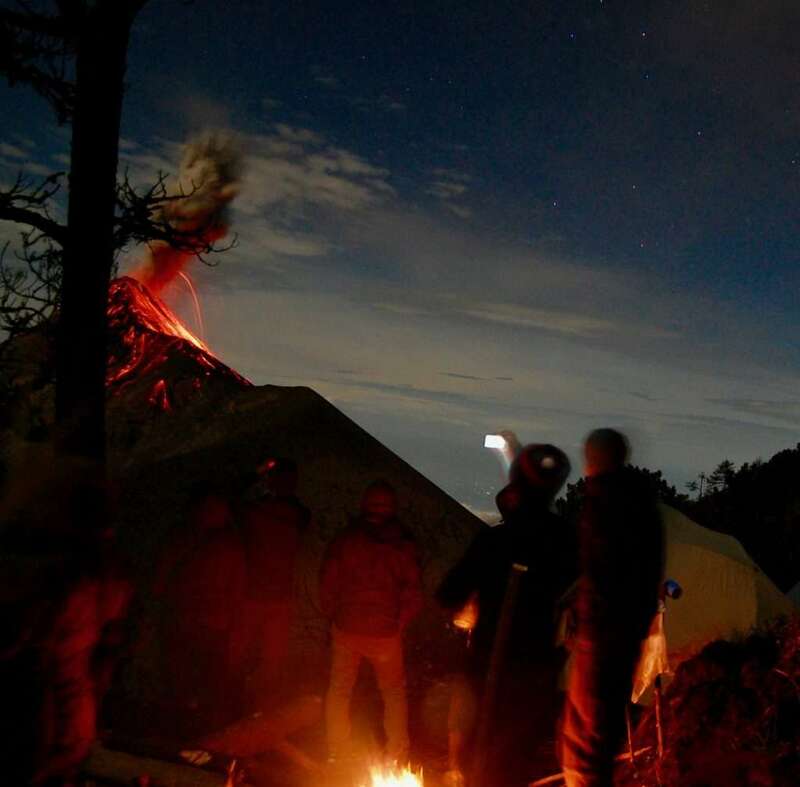 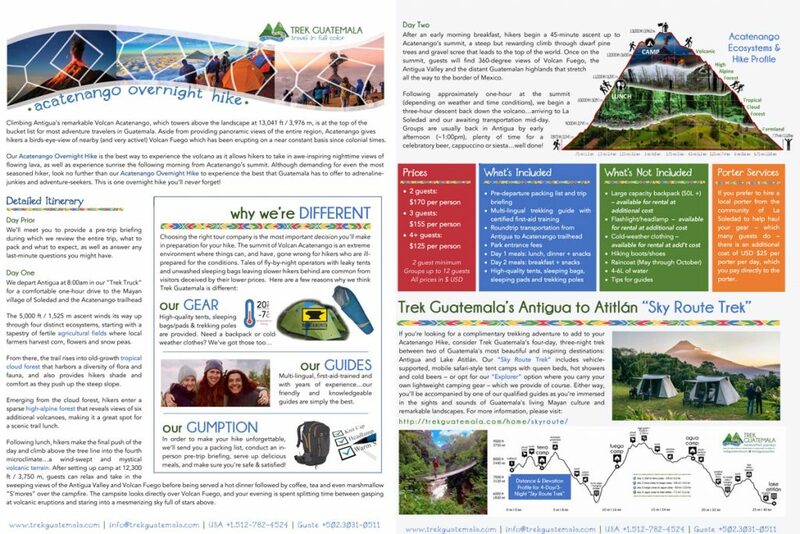 Although demanding for even the most seasoned hiker, look no further than our Acatenango Volcano Overnight Hike to experience the best that Guatemala has to offer to adrenaline-junkies and adventure-seekers. 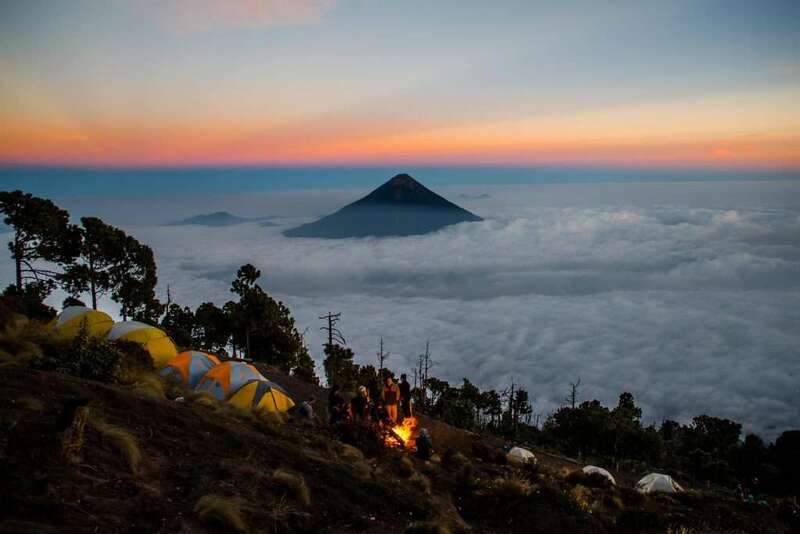 This is one overnight hike you’ll never forget! 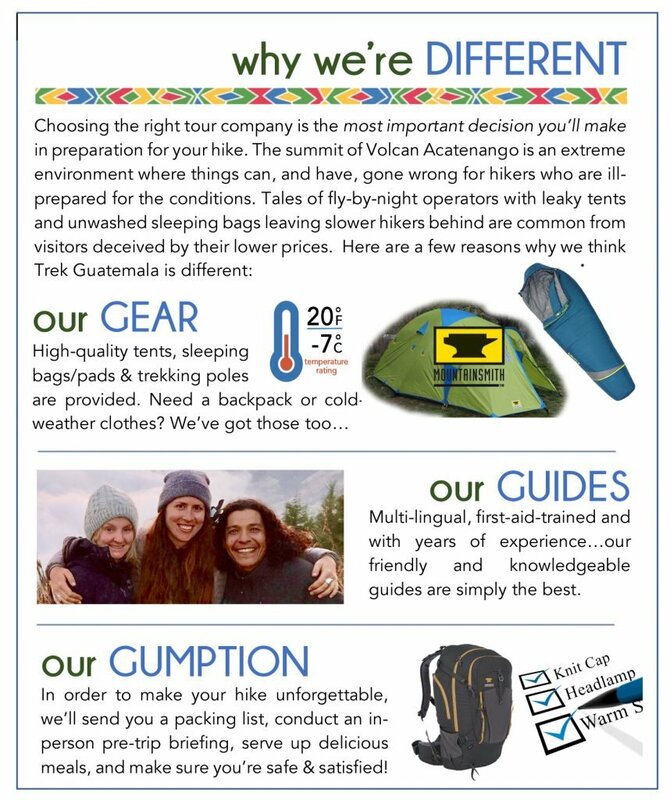 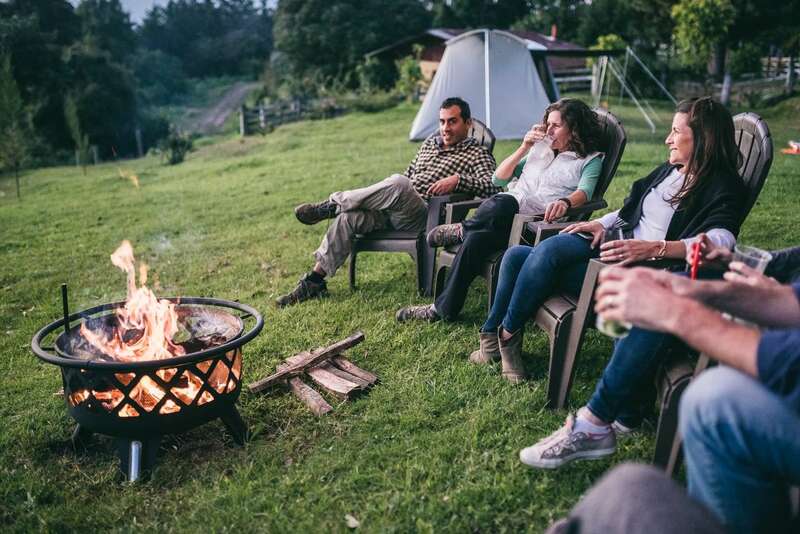 We’ll meet you to provide a pre-trip briefing during which we review the entire trip, what to pack and what to expect, as well as answer any last-minute questions you might have. 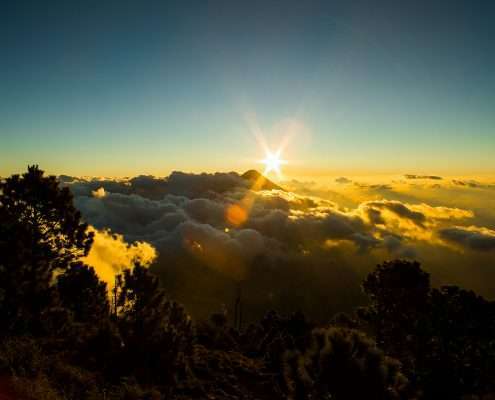 The 5,000 ft / 1,525 m ascent winds its way up through four distinct ecosystems, starting with a tapestry of fertile agricultural fields where local farmers harvest corn, flowers and snow peas. 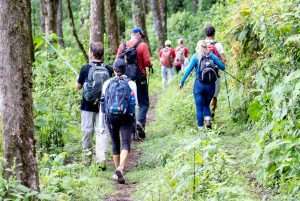 From there, the trail rises into old-growth tropical cloud forest that harbors a diversity of flora and fauna, and also provides hikers shade and comfort as they push up the steep slope. 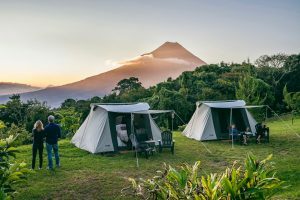 Emerging from the cloud forest, hikers enter a sparse high-alpine forest that reveals views of six additional volcanoes, making it a great spot for a scenic trail lunch. 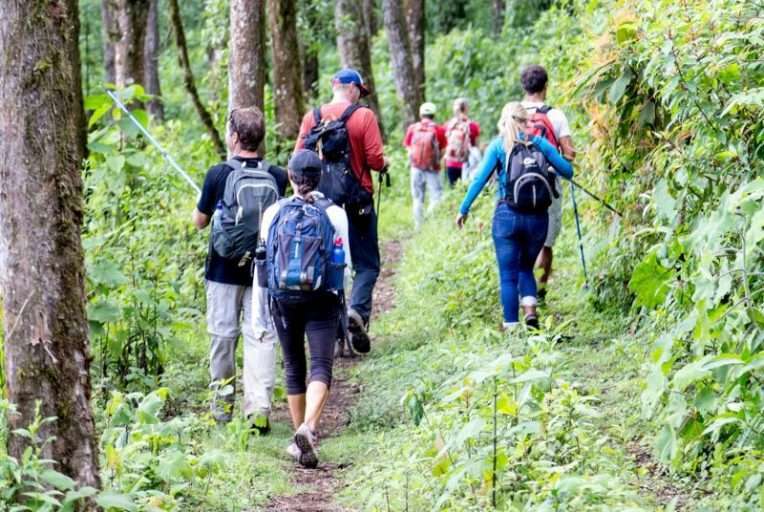 Following lunch, hikers make the final push of the day and climb above the tree line into the fourth microclimate…a wind-swept and mystical volcanic terrain. After setting up camp at 12,300 ft / 3,750 m, guests can relax and take in the sweeping views of the Antigua Valley and Volcan Fuego before being served a hot dinner followed by coffee, tea and even marshmallow “S’mores” over the campfire. 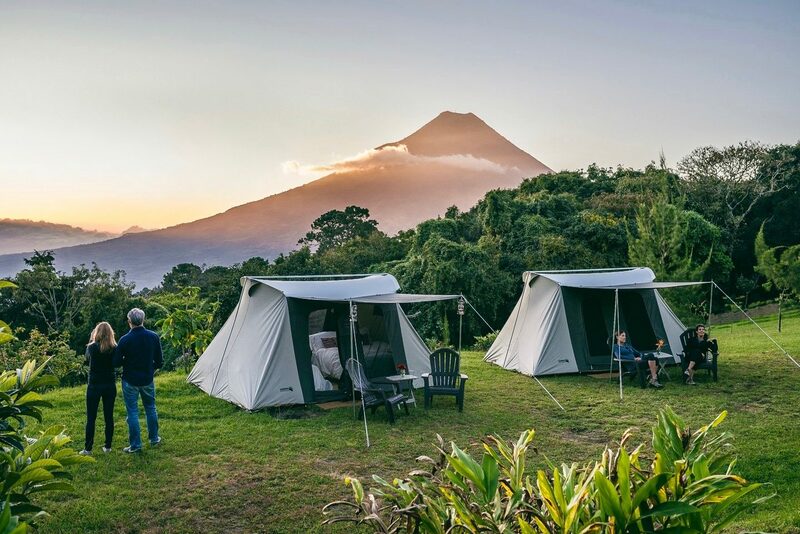 The campsite looks directly over Volcan Fuego, and your evening is spent splitting time between gasping at volcanic eruptions and staring into a mesmerizing sky full of stars above. After an early morning breakfast, hikers begin a 45-minute ascent up to Acatenango’s summit, a steep but rewarding climb through dwarf pine trees and gravel scree that leads to the top of the world. 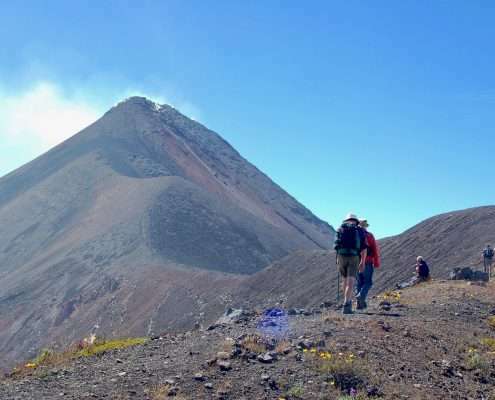 Once on the summit, guests will find 360-degree views of Volcan Fuego, the Antigua Valley and the distant Guatemalan highlands that stretch all the way to the border of Mexico. 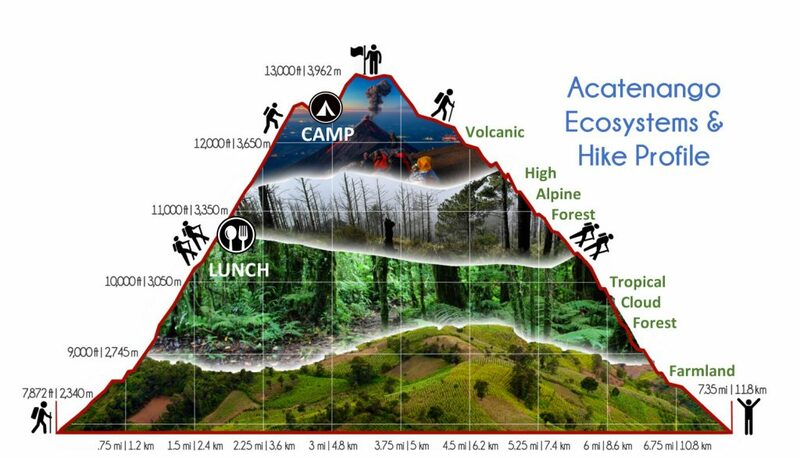 Following approximately one-hour at the summit (depending on weather and time conditions), we begin a three-hour descent back down the volcano…arriving to La Soledad and our awaiting transportation mid-day. 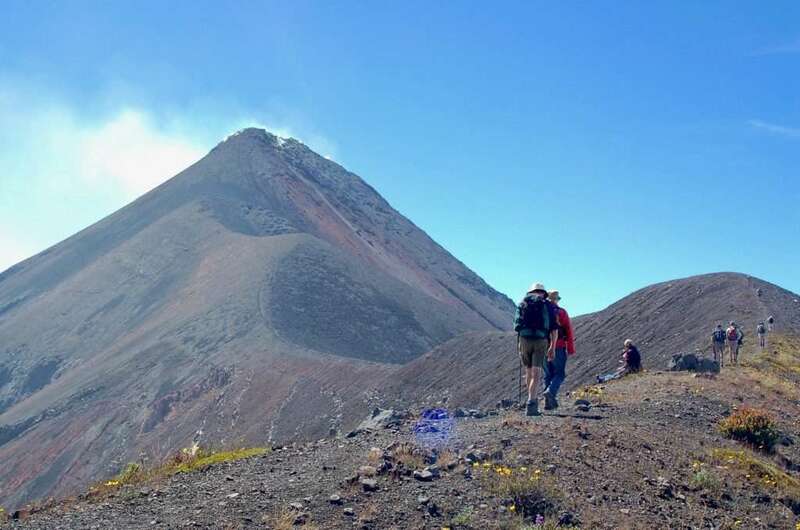 Groups are usually back in Antigua by early afternoon (~1:00pm), plenty of time for a celebratory beer, cappuccino or siesta…well done!